On the local, state and national levels, our Association along with the North Carolina Home Builders Association (NCHBA) and the National Association of Home Builders (NAHB), is the voice of the residential construction industry. We are very active politically to insure that we have elected leaders who understand housings role in our economy and our role of providing shelter for all families. On the local level, our government affairs staff works closely with the municipal leaders to provide input into decisions that affect our industry. 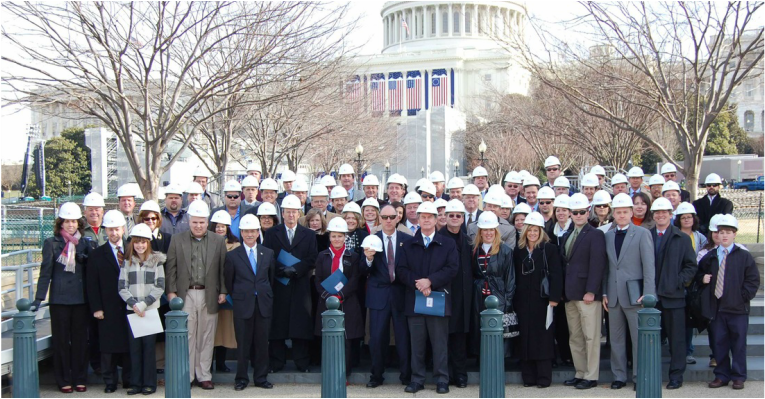 ​The Governmental Affairs Department (GAD) of the Home Builders Association of Raleigh-Wake County functions as a liaison between local, state and federal elected officials and our builder and associate members in Wake County and the twelve municipal governments within its boundaries. The GAD manages a Governmental Affairs Committee that meets monthly. This committee is chaired by the HBA President elect and the group discusses political and regulatory affairs issues and the best way to effectively advocate on these issues.